SYDNEY, AUSTRALIA (15 February 2016) – A significant and increasing number of reforms supported by the Pacific Private Sector Development Initiative (PSDI) are resulting in legislative and structural changes that encourage investment and entrepreneurship across the region, according to PSDI’s Annual Progress Report 2014-2015 released today. 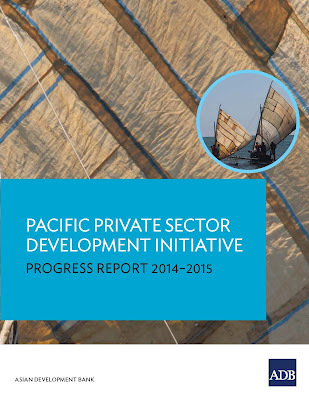 An extended chapter also details how PSDI’s ‘financing growth’ activities have helped improve funding for Pacific businesses, including through the creation of secured transactions frameworks, which facilitate lending using moveable property as security, in Federated States of Micronesia, Palau, the Marshall Islands and three other countries. The report states that strong analytical work underpins the support offered by PSDI, with the initiative publishing private sector assessments (PSAs) for Papua New Guinea and Timor-Leste, and an evaluation of secured transactions reforms, in 2014-2015. PSAs for five more countries are being prepared as are analysis papers on digital financial services and credit guarantees, and the next edition of the Finding Balance state-owned enterprise benchmarking study.